Simple and staple, the Work Shop Artist Series “Chris Yee” Tee is made from soft cotton and features the Work-Shop signature logo stamped onto the chest. The back features the one of a kind artwork that Chris created for our launch in June 2013. 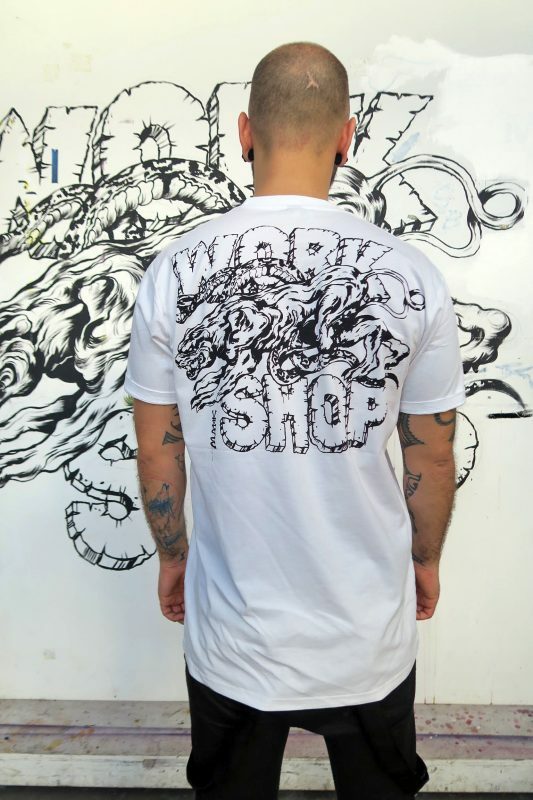 It remains our longest standing artwork in Work-Shop and we are proud to present it to you as a tee. Our model Aidan is wearing a size LARGE tee. He is 5’9” (179cm) tall.